CARMEL, Ind., March 18, 2019 /PRNewswire/ -- CNO Financial Group, Inc. (NYSE: CNO) today named Paul H. McDonough as chief financial officer and Rocco Tarasi as chief marketing officer as the company intensifies its focus on accelerating profitable growth and enhancing long-term shareholder value. Both appointments are effective April 1, 2019. McDonough brings nearly thirty years of public company finance and twenty years of insurance industry expertise to CNO. Most recently he served as executive vice president and chief financial officer for OneBeacon Insurance Group. 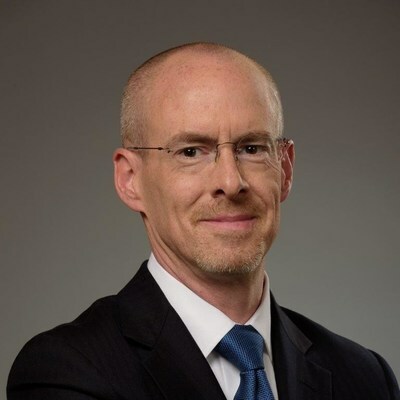 He succeeds Erik Helding, who is leaving his current role as of March 29, 2019 to pursue other opportunities. "Over the past year, we completed CNO's fix and focus chapter and have pivoted to a growth phase," said Gary C. Bhojwani, chief executive officer. "With this evolution of our strategic focus we also determined that it was appropriate to add a different set of experience and capabilities to our leadership team. As CNO continues to execute against our strategic priorities, Paul's deep financial background and proven track record in supporting growth are important at this stage of our development and will position us well for long-term success and shareholder value creation." "Erik Helding was instrumental in strengthening CNO's financial foundation and preparing us for this next phase," said Bhojwani. "The production momentum we began in the second half of 2018 carries over into 2019 and we remain comfortable with the benefit ratio guidance we provided on February 12, 2019. We thank Erik for all of his important contributions and wish him continued success in the next chapter of his career." As chief marketing officer, Tarasi will lead CNO's enterprise marketing and communications team. He most recently served as vice president of finance and operations for Bankers Life. Tarasi succeeds Gerardo Monroy, who is leaving his current role as of March 29, 2019 to pursue other opportunities. "At Bankers Life, Rocco successfully oversaw various growth initiatives and programs to reshape the agent force over the past six to eight quarters," said Bhojwani. "We will leverage Rocco's experience in taking sales and marketing programs from pilot to scale at Bankers Life as we execute on our growth strategy for CNO and all three of our insurance businesses." "We are grateful for Gerardo's many contributions to CNO," added Bhojwani. "During his tenure he led the successful transformation of our Colonial Penn business and served in executive positions in long-term care, marketing, distribution and strategy to help build CNO into the organization it is today. We wish him continued success in his future endeavors." McDonough and Tarasi will report directly to Bhojwani and join the company's Executive Leadership Group. 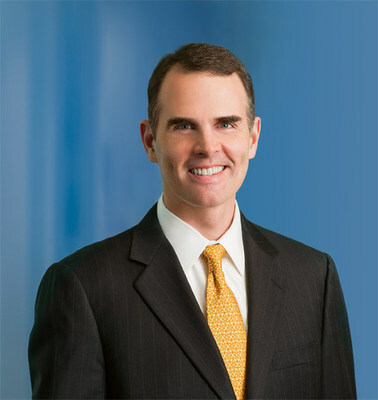 McDonough served as chief financial officer of OneBeacon from 2005 to 2017. In this role, he was instrumental in completing the company's successful IPO and executing a successful corporate restructuring, including revamping the company's growth strategy and optimizing its capital structure. McDonough previously held a variety of executive, treasury and strategic planning roles at other companies throughout his nearly 30-year career. He also proudly served as an officer in the U.S. Navy and Navy Reserves for six years. McDonough earned a bachelor's degree in government from Georgetown University and a Master of Business Administration with a concentration in finance and accounting from the Kellogg Graduate School of Management at Northwestern University. Tarasi has led sales operations, planning, agent recruiting and financial reporting in his role as vice president of finance and operations for Bankers Life since 2017. Prior to CNO, he held executive leaderships positions in finance, corporate development, strategy and operations with both publicly-traded and private firms and was a successful technology entrepreneur. Tarasi received a bachelor's degree in finance and accounting from the University of Pennsylvania's Wharton School of Business. CNO Financial Group, Inc. (NYSE: CNO) is a holding company. Our insurance companies – principally Bankers Life and Casualty Company, Colonial Penn Life Insurance Company, and Washington National Insurance Company – primarily serve middle-income pre-retiree and retired Americans by helping them protect against financial adversity and provide for a more secure retirement. For more information, visit CNO online at www.CNOinc.com.